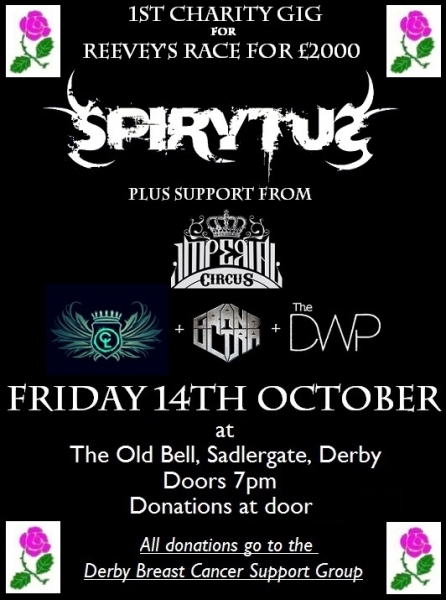 the mighty Spirytus and Imperial Circus share a stage in the name of charity. With support from Grand Ultra, Causeway Lane and The Dirty Warehouse Pilots this is set to be a night of unsigned metal at its finest! The show is in aid of Derby Breast Cancer Support Group. There is no fixed ticket price, it will just be a donation on the door.